A table is the data structure that holds data in a relational database. A table is composed of rows and columns. A table is composed of rows and columns. A table in Oracle Ver. 7.3 can have maximum 255 Columns and in Oracle Ver. 8 and above a table can have maximum 1000 columns.... PostgreSQL does not have the BLOB data type. However, you can use the bytea data type for storing the binary string. We will create a new table named company_files to store the binary string. The architecture of the BLOB data type is divided into three basic components: the BLOB column, LOB segment, and LOB index. 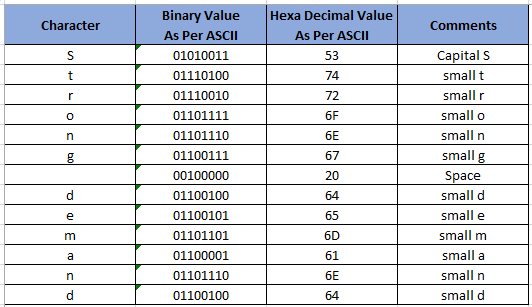 The BLOB column stores the LOB locator (36 bytes) and binary data in row if it is less than 3,965 bytes and in-row storage has not been disabled for the column. With the BLOB data type, you can store the content of a picture, a document, etc. into the table. PostgreSQL does not support BLOB but you can use the BYTEA data type for storing the binary data. Let’s take a look at the part_drawings table. Use the column definition segment of the CREATE TABLE statement to declare the name and data type (and optionally the default value and the constraints or the security label) of a single column of the new table. In static types, like in other database management systems, if you declared a column with a data type integer, you can only insert values of data type integer. However, in dynamic types like in SQLite, the type of the column is determined by the value inserted. And then SQLite stores that value depending on its type.